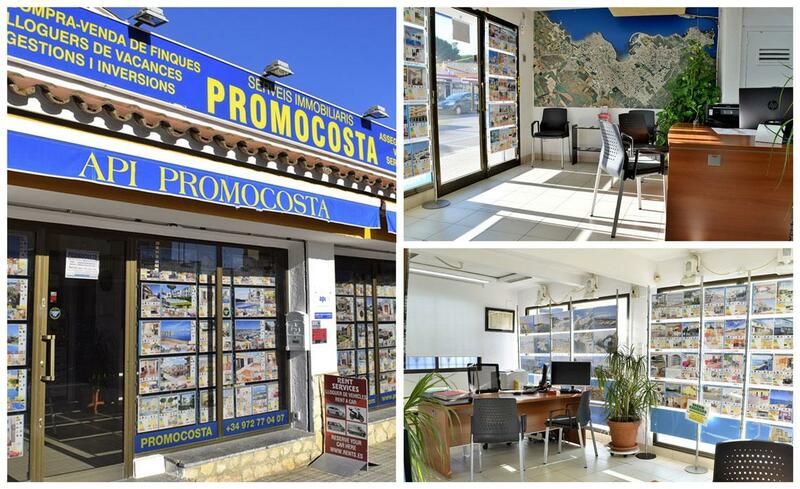 Real Estate agency Promocosta is a family business since 1971, where we are dedicated to provide our customers the best services purchasing and selling houses, villas, apartments, commercial premises, garages, land, and all types of Real Estate in a great place: l'Escala, Alt and Baix Empordà and its ​​influence area, in the heart of the Costa Brava, Spain. From the beginning we keep our family spirit, but constantly evolving at pace as the real estate market makes at all times to offer our customers a good service to their demands and expectations in the property purchase, sale or investment to make. Located in l'Escala, a privileged Costa Brava's place, we offer an absolutely professional treatment, maximum transparency, seriousness and experience in property management, expertise in L'Escala and its influence area with the availability of the best houses, villas, apartments, commercial premises, garages, land, stores and offices for sale. Proven expertise in l'Escala, best practices, responsibility and professional experience in property purchasing/selling. Availability of the best quality houses, apartments, lands, commercial premises in l'Escala and its influence area. Monitoring and pre/post sales services. Processing and management of supply contracts after formalize the property sale/purchase.